How Can We Generate Lead By Email Marketing with B2B Mailing Database? 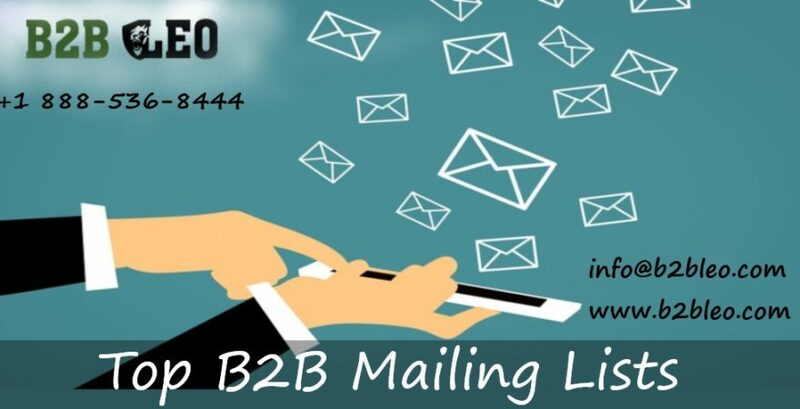 How Can We Generate Business Lead By Email Marketing with B2B Mailing Database? Email Marketing and B2B Mailing Database-As technology grows we are adapt better way of communication, email communication is the result of new era of modern technology and is one of the best ways of communication for the corporate and business affairs. HTML 5 Email Design that would be Mobile Friendly. Email Tracking Software that can be integrated easily. Managing the response of email with help of software for further action. 3.Activity after the Email Campaign. Market Research and Consumer Behaviors Analysis: This is the most important and vistal part to become any email marketing successful and gives the input for the design and content for the body of the email. What are the facts that can be create a relationship and build the trust every thing is being find out here? Activity During the Campaign: Once body of the email is ready so selecting the database and triggering the campaign on appropriate makes the campaign more effective. Here database plays vital roll that how are you managing and updating the data for email marketing. Filtering of data as per market trend is most important and decide the success of the camping. Get detail about B2B Mailing Database. Deciding the Subject line word to emphasis and feature to highlight, all is decided at this point of time and it generate a sense that we understand our clients well. Once emails have been triggered so most important things to be done here is how many got delivered and how much bounced. How many people opened the email and how many perform the action and how many fil the form. All these things can be managed and tracked with help of email tracking software. This helps to understand the response and according the data we can follow up by different means like news and event updated, phone calls, email campaign etc. Connect with us on +1 888-536-8444 or mail us at info@b2bleo.com to know more about email campaign and B2B Email Data.